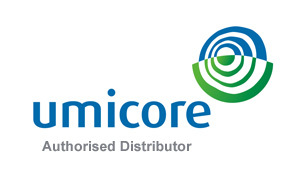 The Gold Bullion Company is an authorised Distributor for Umicore Gold precious metal products. Established in 1989, Umicore, based in Brussels, Belgium have in recent years moved away from the heavy mining roots towards production of precious and other base metals primarily from recycled materials. Umicore Gold Bars are now one of the most commonly requested gold bullion bars and have quickly become one of the most recognised bullion bar brands in the UK and Europe. Need assistance using our web site or want call our sales line to buy gold? We're available on 0121 523 1047 Monday - Friday 9am to 5pm.